Are you looking for a delicious seafood recipe with a difference? If you are, you’ve found it! Here’s my braised scallops with peas and sun-dried tomatoes for you to enjoy. I adore scallops and must admit that I don’t like to interfere by adding too many ingredients that will alter their natural flavour, but I really think this recipe is special. It is so simple and quick to prepare and is very flexible in terms of being great as a dinner for one, or a starter or a main at a dinner party. You can replace the pancetta with chorizo if you prefer, and of course the fresher the scallops the better. 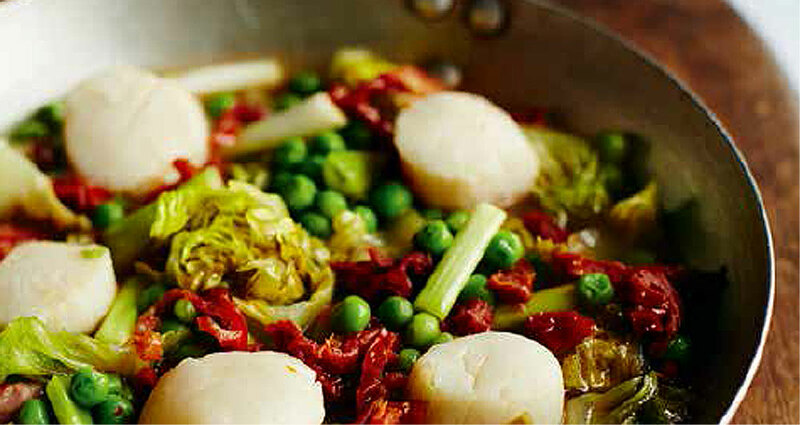 Feast your eyes on the finest braised scallops with peas and sun-dried tomatoes! It’s straightforward and fun to make this great dish. Simply follow the instructions below and get the perfect result. Heat the oil in a large frying pan and fry the pancetta for 3 minutes over a medium heat. Stir occasionally with a wooden spoon. Add the spring onions to the frying pan. Cook for 3 minutes then add the peas and enough water to cover the lot. Simmer for 4 minutes. Add in the chopped baby gem lettuce with the butter and sun-dried tomatoes and continue to simmer for 2 minutes. 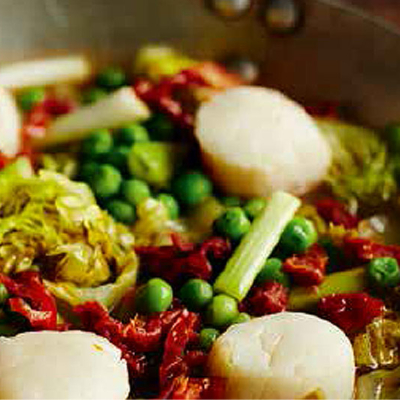 Add the scallops and simmer for a further 1½ minutes. Divide among four warm shallow bowls, season and serve immediately. Fresh rustic bread is a must with this recipe to mop up all the delicious juices. 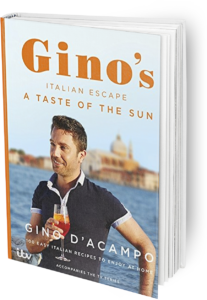 Once you’re done, simply sit back and enjoy your braised scallops with peas and sun-dried tomatoes and don’t forget to check out other great authentic Italian recipes including great antipasti recipes, Italian pasta recipes, Italian soup recipes, Italian beef dishes and authentic pizza recipes.